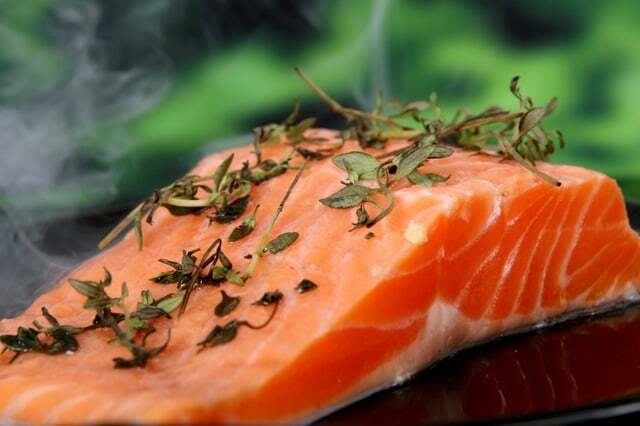 Can A Diet Rich In Omega 3 Help Vertigo Symptoms? When we think of vertigo, we don’t normally associate our symptoms with our diet. While changing what you eat won’t cure your vertigo, certain foods and nutrients can help you cope with some of the symptoms associated with vertigo including dizziness, nausea, and fatigue. If you’ve experienced episodes of vertigo, you know how debilitating those moments can be. You might feel as if you’re stuck in time, unable to think clearly or make sound decisions. In certain situations, vertigo can have the power to throw our entire thought process out of whack in ways that could make certain symptoms worse. Learn how the nutrient Omega 3 can help you manage your vertigo symptoms more effectively. Omega 3 is a special type of fat that’s commonly found in certain meats such as fatty fish, salmon, grass-fed beef, nuts and seeds. Omega 3 can take three different forms including ALA, DHA, and EPA. It’s best to incorporate all three forms into your diet, but ALA is considered the simplest form of Omega 3. All types of Omega 3 can improve mental cognition, processing and memory. The human brain functions using billions of neurons. Each neuron possesses what’s known as a myelin sheath. These sheaths are used to communicate with other neurons in the brain, providing faster brain signals. When we have to make a split decision in a matter of seconds, these neurons relay information to parts of the body to make sure that the brain always knows what’s going on. Getting a healthy dose of protein-rich meats, nuts, and seeds can help improve brain function, memory and the overall cognitive process. If you have trouble remembering specific details or past events, Omega 3 can help you retrieve the information you need to know. When it comes to coping with vertigo on a daily basis, it’s important to be as clear-headed as possible. A wave of dizziness and nausea can come over you at any moment, inflicting all sorts of physical pain and mental confusion. When an episode occurs, you’ll probably need to sit or lie down immediately and wait for the pain to subside. If you’re driving a car, handling valuables, or taking care of your child or a loved one, an episode of vertigo can be disastrous. To help combat these issues, you can improve your daily brain function by avoiding drugs and alcohol, and by keeping your mind as sharp as it can be. Eating plenty of foods that are rich in Omega 3 will help you keep a clear head when an episode of vertigo impairs your cognitive function. For more help managing your vertigo symptoms, order DiVertigo, which can help you find relief in a matter of minutes. This entry was posted in Diet, Vertigo Symptoms and tagged Vertigo Relief. Bookmark the permalink.